If this mission is too dangerous to risk astronauts lives, then what shuttle missions are more important? Not only will this mission be the farthest that humans have ventured from the Earth since the last Hubble mission, but it is a mission with a clear goal and scientific payoff. When's the last time NASA gave us that? We name distant objects after gods of the dead and underworld, like Orcus or PlutoAnd now one of those who named is gone. 'If this mission is too dangerous to risk astronauts lives, then what shuttle missions are more important? 'Didn't you read the post? It's not that the other missions (i.e. those that visit the ISS) are more important, it's that they're safer. '...it is a mission with a clear goal and scientific payoff. When's the last time NASA gave us that? 'Let's see, oh, about a week ago. You're just not paying attention. You might start by following the Weekly Research Summaries here. Well, the astronauts have made it into orbit and have changed out the camera, that's good. Tomorrow they will change out the gyroscopes. We had a local acheivement here, the Austin-Bergstrom Airport was completed with 0 days lost to accidents. Absolutely stunning. I think the President should have showed up to cut the ribbon, but not even the Governor showed up (it was W at the time). Every American gets a birthday card from the President on his 100th birthday, and I think achievments like the airport or a million miles without an accident should get a Presidential citation. I fear accidents like this. The Hubble repair job isn't nearly as dangerous as fixing the ISS's solar arrays. The designers neglected to put an "off" switch on them, they were live wires. Most lost astronauts passed on the way down. I don't think, despite Cold War rivalries, that anybody cheered when the cosmonaut's parachute lines got twisted into a knot. Nobody snickered or chortled when three other cosmonauts let the air out of their ship. The most dangerous part of the journey is still ahead. But I'm an optimist, I eagerly await the cheer at the end of the runway. Mike, I believe I would have decided differently than you would have. Life is dangerous. It requires courage sometimes. As you noted, the astronauts know what the dangers are and are willing to take the risks anyway. Just the knowlege itself is that important! Plus, I think our destiny is in space. It's where it's at. Planetary surfaces are confining, we need to get off. ""Everybody knew that asteroid was a poseur," Rabinowitz said. "If it didn't have the balls to come within 100,000 miles of Pluto 15 years ago, how's it even gonna consider messing with Earth? What, did it think it was going to be another 1908 Tunguska Event? Don't make me laugh." Rabinowitz also estimated that even if the asteroid had managed to remove its giant tampon and hit Earth, it most likely would have landed harmlessly in the ocean or the Sahara Desert." Of course, it's The Onion, a college humor "newspaper". I'm kind of curious if David really said that. I'm quite sure he has a sense of humor, too. 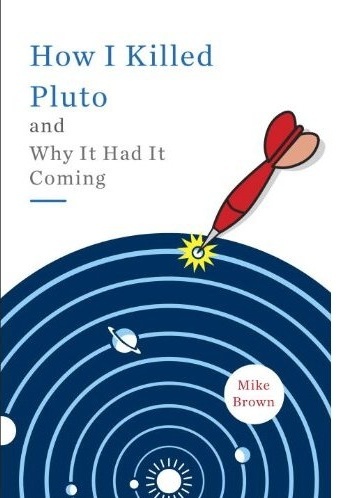 In my opinion the whole Pluto-planet "controversy" was about this kind of juvenile bravado. But I don't think the Shuttle program is that way. These guys are 100% serious. I would ride in their chariot in a twinkling of an eye, but it's real easy for me to say that, I wouldn't pass the physical! P.S. Preview fail (sigh). Couldn't get the link to work, need to copy/paste in browser. Thanks Mike. I'm an atheist myself, and at times I'm searching for the right words to describe the same sense of majesty, and am left as you are. Glad I'm not alone.